It’s rainy season in Northern California. For most that means reaching for the nearest legging and sweater combo you can find. It’s still warm here so I’m not giving into the bundled up looks yet. How cute is this wrap dress? The flowy details are so pretty. 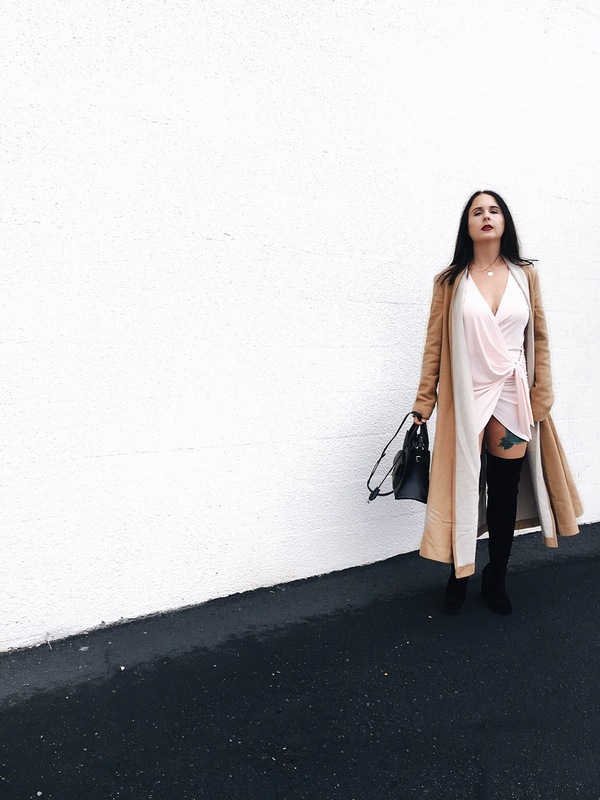 I paired with velvet over the knee boots and a long camel trench. Normally, I do like the darker color palette for fall but I loved this bright rainy day look. That wrap dress is so perfect! Love it with those boots! Gorgeous wrap dress! I love it! Looks like this outfit is inspired by one of the Jenner! Gorgeous!